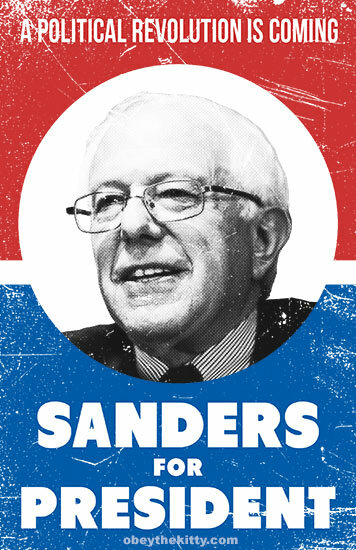 Bernie Sanders for President – Inspired by the political poster designs of the 1960’s (like JFK) I decided to create a design for Bernie Sanders for 2016. Bernie has a lot of great ideas, and seems to be that candidate everyone would vote for if his image was “sexier.” (I know, let’s put Bernie Sander’s brain in Hugh Jackman or George Clooney!) Also, too bad he’s not a distant relative of the Kardashians, as that seems to get people’s attention. *Actually, funny I should mention his lack of support, a new pole has him leading Democrats in New Hampshire. Not bad! Bernie Sanders Position on Wealth Inequality, etc. Bernie has some interesting and inspiring positions on issues like wealth inequality, woman’s rights, and climate change, so check out his positions on all the major issues here. 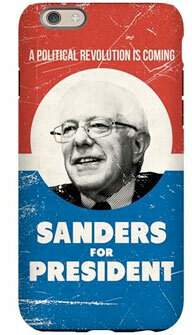 Why create a Bernie Sanders for President T-Shirt? There are a lot of bad t-shirt designs out there for Bernie, so I wanted to design something simple and to the point. (Nothing worse than seeing t-shirt designs that look like they were put together in Microsoft Word or something!) The t-shirt’s and iPhone case are only marked up a buck or two at most from the base price at cafepress, so check them out!